SBI Card, one of India’s largest credit card issuers, has collaborated with CanKids…KidsCan, a not for profit organisation, to support children fighting with cancer. The company’s support will enable the NGO to increase its ambit of ‘Change for Childhood Cancer in India’ initiative to reach out to more children for holistic cancer care support. The initiative will provide support for treatment, diagnostic, education, infrastructure, research and awareness creation for cancer patients and survivors. Speaking on the association Mr Hardayal Prasad, MD & CEO, SBI Card said, “Health is one of our key focus areas as an organisation towards which we have been consistently contributing our efforts. We believe that it is extremely important to provide our children with a conducive environment to grow and a better quality of life which includes strong healthcare support. As a part of this association, SBI Card contributed over INR 1 crore to CanKids…KidsCan during an event at Safdarjung Hospital in New Delhi today. SBI Card’s team visited the hospital’s cancer care unit and interacted with CanKids children. The event also witnessed the special cake cutting ceremony organised by CanKids…KidsCan followed by distribution of storybooks, bags and stationery kits by SBI Card to the kids. SBI Card has been focusing on areas of health, education and skilling through its various initiatives and collaborations to address the critical social issues such as hunger, poverty, malnutrition, lack of quality healthcare and sanitation among others. In India, there are 76800 new cases of childhood cancer every year and survival rates in most developing countries like India are only 20-50%. CanKids…KidsCan has been working towards the cause of providing the best treatment and support care to the children with Cancer and their families. 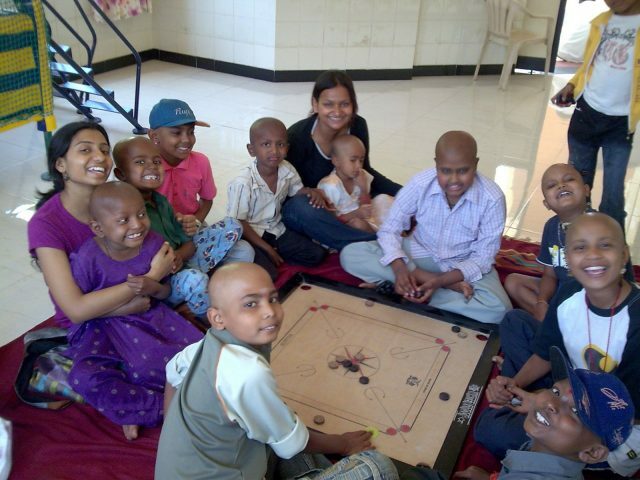 The NGO has a presence in 26 cities across 19 states and has partnered with 76 hospitals.